The eastern hellbender, as interpreted by PhillyVoice staffer Daniel Craig. About a year and a half ago, the Pennsylvania General Assembly went to war over the state’s official amphibian. PhillyVoice (somehow) wrote about the very important legislative effort to make the aquatic salamander, and owner of the sickest actual animal name of all time, twice in 2017. At one point a bill passed the state Senate by a 47-2 vote. But a legislator introduced a memo at the eleventh hour, seeking support to make the Wehrle’s salamander the state’s official amphibian, and eventually the eastern hellbender's bill died because of too much pushback. Now, more than a year later, we have an update on the greatest political struggle in the history of Pennsylvania legislation: The eastern hellbender is getting another shot. Republican Sen. Gene Yaw, who was behind the first eastern hellbender push in 2017, reintroduced legislation in support of the same issue on Jan. 23. Yaw still wants the hellbender to be the state’s official amphibian, and according to U.S. News & World Report, Yaw’s bill emerged “unanimously” from a Senate committee on Tuesday. U.S. News & World Report also noted legislation for the Wehrle’s salamander hasn’t been re-introduced. The eastern hellbender, according to the Pennsylvania Land Trust Association, is a “natural barometer of good water quality” because the salamanders can only live in clean water. The Western Pennsylvania Conservancy has designated the amphibian a “species at risk” because of lowering water quality in the state’s rivers and streams. The hellbender can grow up to two feet long, and is North America’s largest amphibian, which is yet another reason to make this very cool salamander Pennsylvania’s state amphibian. Interestingly, a petition three months ago drew more than 6,000 supporters in favor of giving the eastern hellbender the designation, which isn’t surprising because, again, this thing is called the eastern hellbender. 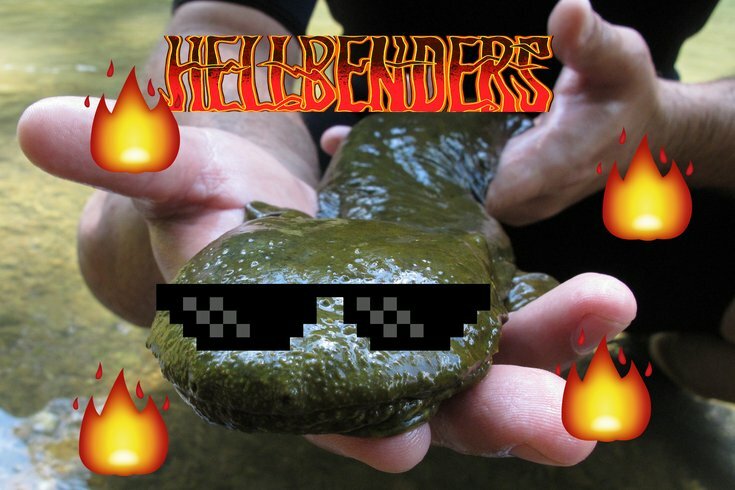 Do the right thing, legislators: Make the eastern hellbender Pennsylvania’s official amphibian. This is a no-brainer. You can track the bill's progress here.